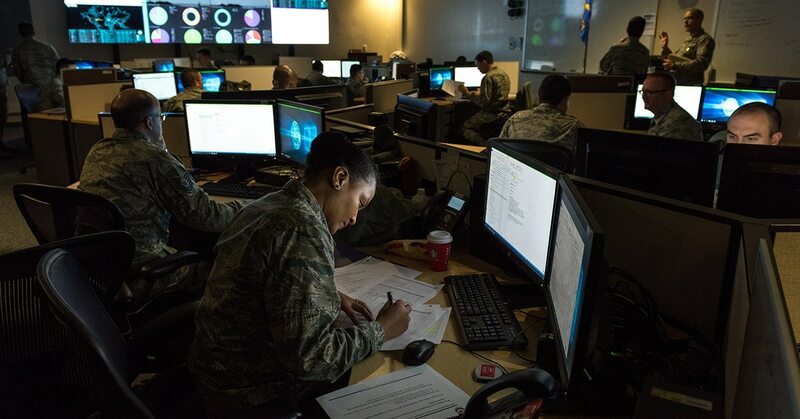 The Air Force, working on behalf of U.S. Cyber Command, will use new acquisition authorities to procure a next generation cyber platform to be used by the joint force, service officials said Sept. 17. The program, known as Unified Platform, will serve as a kind of aircraft carrier, airplane or tank, from which cyberwarriors will plan and launch attacks. All the service components are providing input on the development of the next-generation cyber operations platform. The Air Force’s top acquisition official recently approved the use of rapid acquisition authorities known as Section 804, which Congress designed for rapid prototyping for middle tier programs. As such, the Air Force will take a development operations, rapid prototyping approach to Unified Platform. Instead of following the traditional approach that involves established requirements that are competed and companies are selected, by using the rapid process “we’re able to do it actively where you have the operator sitting right next to the developer to do this in a much more agile manner, which is critically important in a cyberspace programming,” Brig. Gen. David Gaedecke, director of cyberspace operations and warfighting integration within the Air Force’s CIO office, said Sept. 17 during a panel at the annual Air, Space and Cyber conference. As Fifth Domain previously reported, a formal request for proposals for Unified Platform was released through the General Services Administration’s premier enterprise Alliant Governmentwide Acquisition Contract vehicle. Under this model, GSA completes much of the initial contracting legwork and, in this case, allows the Air Force to focus on the specific technical requirements, sources said. Companies compete to be eligible for task orders under the Alliant contract and then GSA selects contractors who compete against each other for individual task orders on the final program. This means, only vetted companies would work on the program. DoD is using rapid prototyping authorities to equip its cyber warriors. Other services are also applying a rapid prototyping and DevOps approach to joint cyber programs. The Army, for example, recently selected four companies to help pave the way for the joint force’s first premier cyber training environment known as the Persistent Cyber Training Environment.